While Slime-san’s retro arcade games offer a nice little slice of co-op fun, you can’t jump straight into them. First you’ll have to make some progress in the primary single-player campaign. 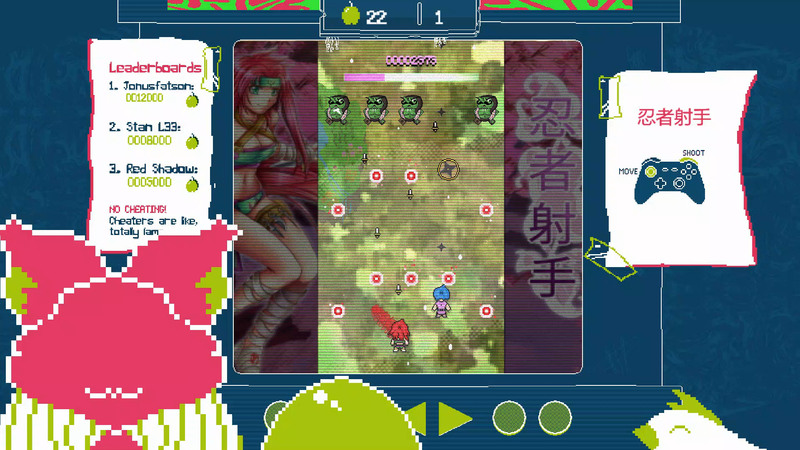 Slime-san has four campaigns, the main one containing five worlds with twenty stages each. Among the twenty stages of every world, three contain secret exits. Take a secret exit and you’ll find a collectible coin and a new NPC to populate the game’s Slumptown hub. Don’t worry, you can tell which stages have secret exits by a coin icon that appears on the top-right corner of the stage on the stage select menu. The coins found in secret exits can be spent to unlock retro games inside the Slumptown arcade. It costs three coins per game and there are five games to unlock. All support 2-player local multiplayer, and three of the five are cooperative rather than competitive. So it’ll cost nine coins to unlock Slime-san’s full co-op goodness, which coin collectors will be able to do as early as the end of world 3 in the campaign. 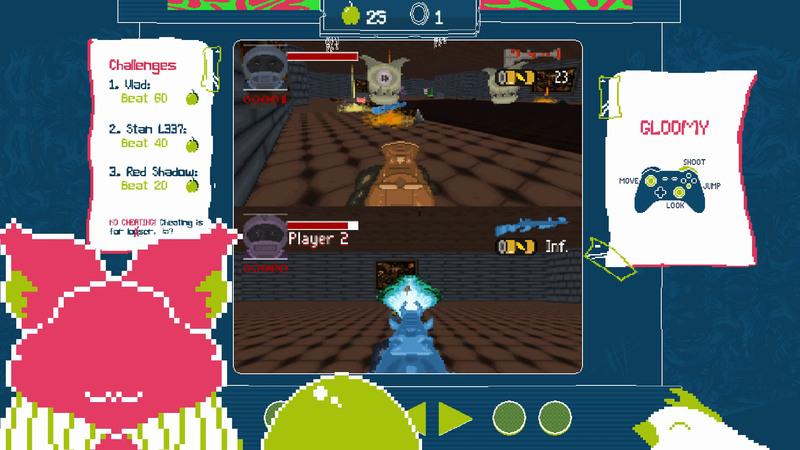 Quadforce: A Zelda-style action-RPG, only both players are confined to a single room in one of three selectable arenas. 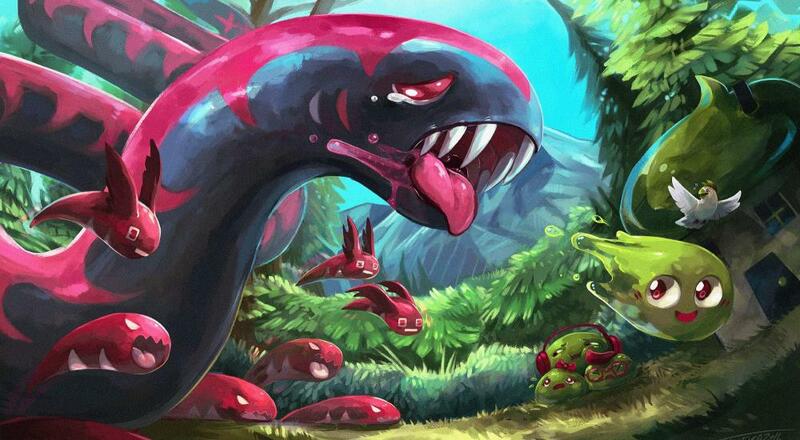 The team must survive increasingly tough waves of enemies. You can collect heart icons to refill health as well as a few upgradable weapons. Both players share a life meter of six hearts. Once either player depletes the final heart, the game ends and tells you how well you did. It’s dangerous to go alone in Quadforce, so consider bringing a friend along. Ninja Shooter: A vertically-scrolling bullet hell shoot ‘em up. Both players share a single life meter. The game ends when your team runs out of life. I found this to be the easiest of the co-op minigames. Gloomy: A 3D Doom clone that takes place in one of three selectable, confined arenas. Players must try to frag as many enemies as possible using the various weapons that spawn across each map. Co-op uses split-screen displays. Unlike the other co-op minigames, players don’t share life, so the game can continue after one player dies. Action Paddle: A Pong clone. 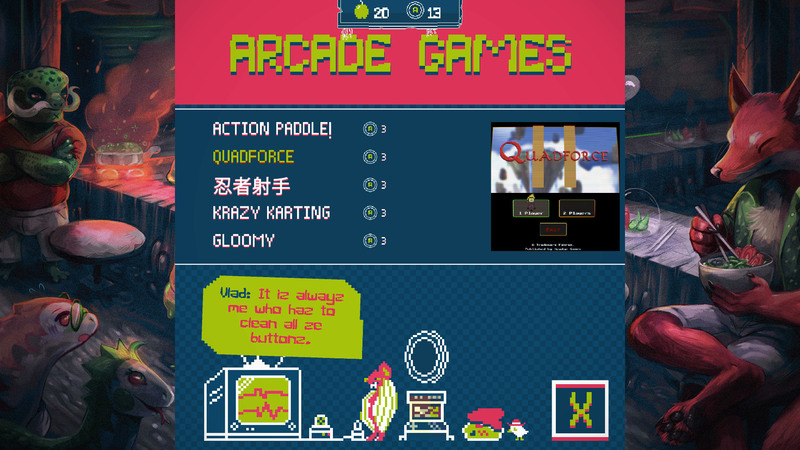 Crazy Karting: A split-screen Mario Kart clone. These minigames are decently fun, though you probably won’t spend more than half an hour with any of them. 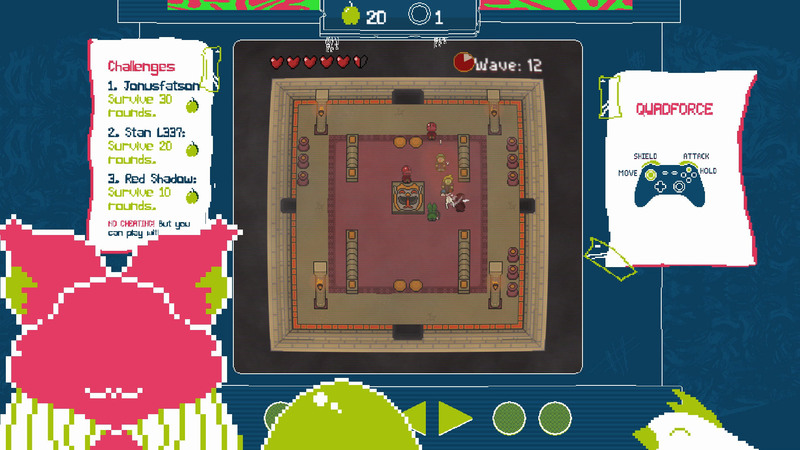 Players do need to accomplish high scores on each minigame to earn some of Slime-san’s 400 apples, another form of collectible. Doing so with a friend will certainly make those high scores easier to accomplish. Slime-san: Superslime Edition sells for $14.99 on PlayStation 4, Xbox One, and PC. Slime-san is also on the Switch for $11.99 and includes the "Blackbird's Kraken" content with the "Sheeple's Sequel" arriving later this month for free. Page created in 1.1666 seconds.